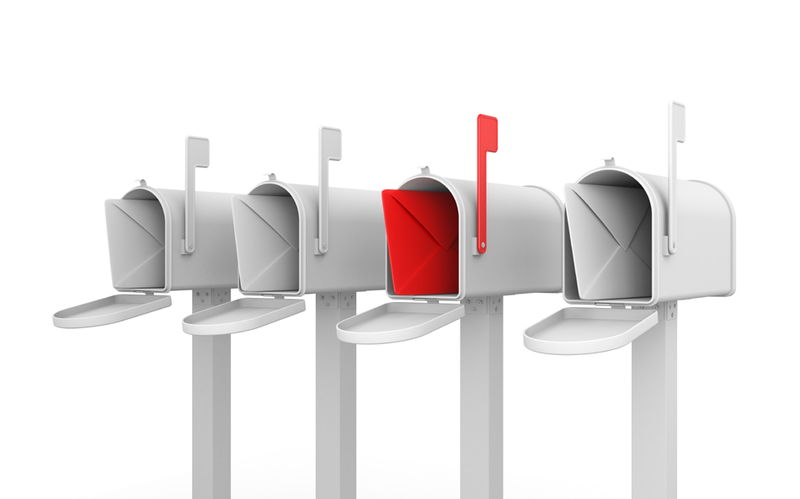 In order to access Neighbourhood Mail prices, the customer must meet all applicable requirements, including size and weight specifications, and mail preparation requirements for Neighbourhood Mail service. 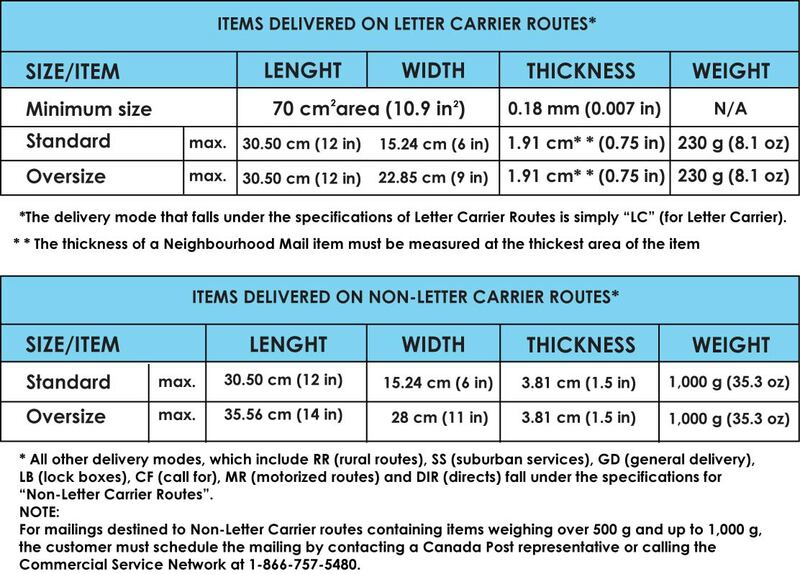 Items delivered by Canada Post Letter Carriers have different size and weight specifications than those delivered on Non-Letter Carrier delivery routes. Each Neighbourhood Mail item must meet the applicable size and weight requirements as outlined below. 1: The metric unit is the official measure. Imperial equivalents are provided for reference and convenience only. 2: Measurements include all inserts and enclosures. What is unacceptable as Neighbourhood Mail? Items submitted as Neighbourhood Mail that do not meet the requirements specified for Neighbourhood Mail and the various mail preparation and other requirements outlined in this Agreement, may not qualify for Neighbourhood Mail service and prices. For information on unacceptable items, see Non-mailable Matter of the Canada Postal Guide at canadapost.ca/nonmailable or refer to the Canada Post Corporation Act and Regulations.